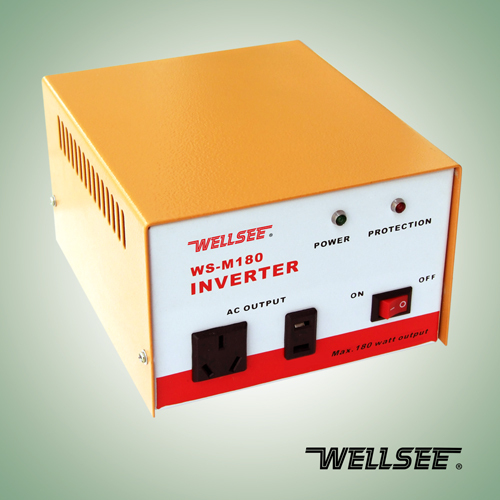 WELLSEE 12v inverter WS-M180 _Modified Inverter_Products_solar controller,charge controller,solar regulator,lighting controller,mppt controller are selling best on our website! 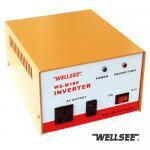 A Solar inverter or PV inverter (WS-M180 180W solar inverter ) is a type of electrical inverter that is made to change the direct current (DC) electricity from a photovoltaic array intoalternating current (AC) for use with home appliances and possibly a utility grid. Good things come in small packages, and so it is with the WS-M180. Small in size, but big on performance, the WS-M180 is the baby of the WS-M Series. We highly recommend this compact and reliable inverter especially for 12 Volt Camping, Caravaning and Boating applications. modified sine wave, but working ok. Thanks good seller, you are very polite, although it is low value.